Every part of your car needs to be maintained. When you maintain your car you prevent it from failing at you when you need it. Are you ready to be a wise vehicle owner? One crucial component that needs to be clean is the fuel injector. A dirty and clogged fuel injector can cause your engine to malfunction. The repair costs are high and it may not be something you want to stress about. You can prevent this when you purchase a fuel injector cleaner. It’s easy to use at home. How often should you use the fuel injector cleaner? Why should you use a fuel injector cleaner? What removes the deposits from the injector? It’s important for you to use a fuel injector cleaner when specified. You receive the following benefits when you maintain the car’s engine with a fuel injector cleaner. These items can clog up the injector and are harmful to the engine. This leads to malfunctions in the engine’s performance. It can burn more fuel or emit harmful deposits into the environment. When you keep the engine clean you extend the lifespan of your car. 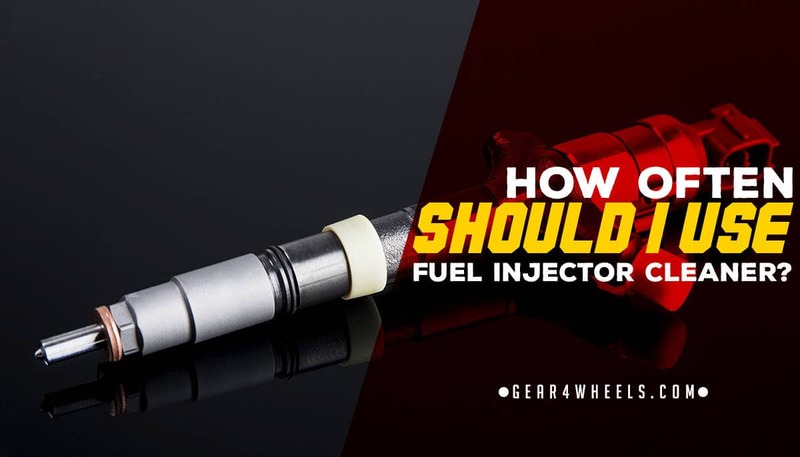 The clogged fuel injector won't feed the engine as it should which reduces the horsepower. This ultimately affects your car’s speed and ease of driving. When you clean the fuel injector, you prevent any loss of horsepower which optimizes your car’s driving performance. If your engine is contaminated, it works overtime to receive the air and fuel flow it needs. When your engine is overworking itself it can break easier which leads to costly repairs. A clogged fuel injector leads to damages and it affects the full functionality of it. Carbon deposits can get cooked onto the hot surface of the injector which can cause fast wear and tear. It can also create excess fuel delivery with every pulse. Cleaning the fuel injector prevents severe wear and tear. It feeds the engine the accurate amount of gas or diesel to the engine which contributes to an optimum performance. Each brand of fuel injector cleaner has its own instructions on how to use it. Normally you can only use it if your fuel tank has enough gas or diesel to let the cleaner pass through. If it doesn’t have the right level then wait until you fill your tank again. When you have the right amount you only need to add the fuel cleaner to the tank. It’ll clean the injector when you drive. The dirt is removed because the cleaner breaks up the deposits or other filth that clogs up the fuel system. The cleaner ensures all dirt is burned up with the rest of the fuel. They’re harmless when they burn up but if there is a lot, much smoke is produced. Using fuel injector cleaner is best for your car, and also prevents you from being stranded beside the road. Get proactive today and look after your car to the best of your ability. Any brand better than others?